Recorded Monument GA086:243 and Reg. No. 30408604 is located in the townland of Ballintemple, Woodlawn, County Galway. The ice house is strategically located close to the lake and fish pond at a remove from the big house. This can be seen from the public road along the Golden Mile. It would have been used for storing food and of course, ice for the drinks on the lawn in Summer. The ice house is constructed of roughly cut regularly laid limestone blocks at the bottom portion with a small string course running around it near the top of the structure. Internally this is constructed of red brick. The interior has a diameter 4.25 m. A plinth of red brick runs around the base and 1.7 m above this a line of corbels are present. 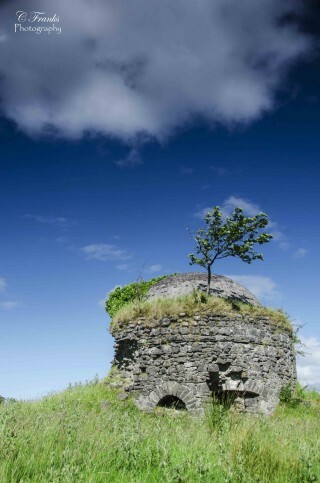 Ice houses first appeared in the Irish landscape in the late C 17th. The basic design remained the same throughout the 250 years they were in use. 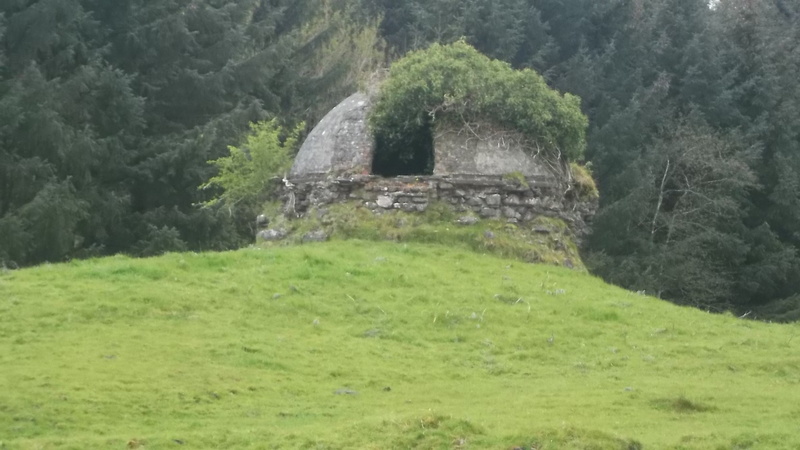 The original use for this construction may have may have been a tea house. 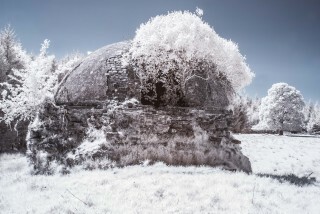 Thank you to Frank Nevin for forwarding these fabulous images of the Ice House to us.